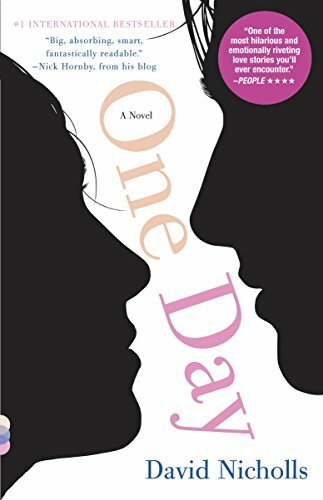 Amazon’s selection of Kindle Daily Deals includes One Day (Vintage Contemporaries) by David Nicholls. In Today’s Deals, GreenWorks Pro 80V Tools. The Barnes and Noble Nook Daily Find is Harley Quinn’s Greatest Hits (NOOK Comics with Zoom View) by Paul Dini, Scott Snyder, Amanda Conner, Jimmy Palmiotti. The Romance Daily Find is When We Collided by Emery Lord. Kobo’s Daily Deal is Ink and Bone by Lisa Unger. The Extra Daily Deal is Girl Waits with Gun by Amy Stewart. iTunes’ Weekly Bestsellers Under $4 includes The Glass Palace by Amitav Ghosh. Google Books has a selection of Topsellers Under $10. This entry was posted in Daily Deals, Daily Links and tagged Amy Stwart, David Nicholls, Lisa Unger, Nook comics. Bookmark the permalink. ← Daily Links and Deals: Who can’t tweet about #Rio2016?